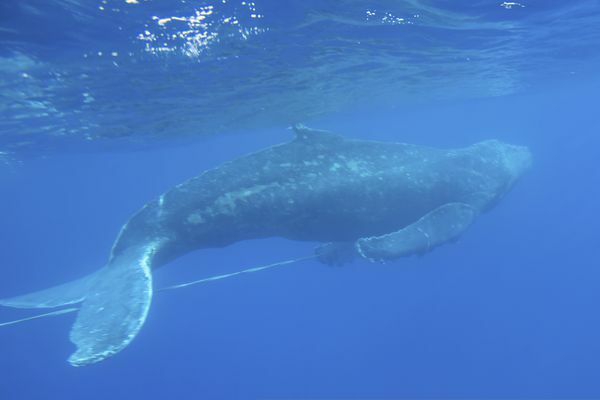 The whale was “moderately emaciated” and had light skin and carpets of whale lice, "all indicators that it had been carrying this gear for some time, likely months,” an official said. 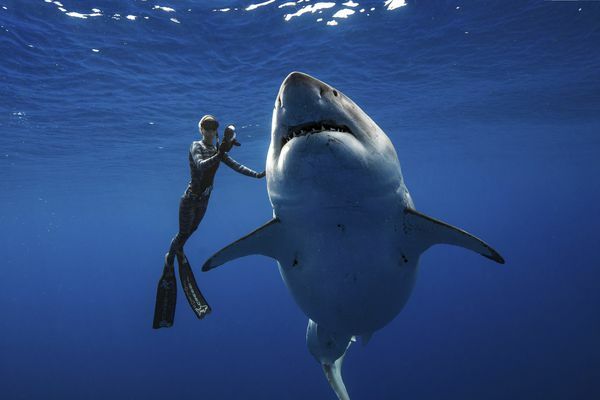 The shark was encountered near a dead sperm whale off Oahu. There have been reports that people are climbing onto the carcass to take its teeth as souvenirs. Retired U.S. Navy Cmdr. 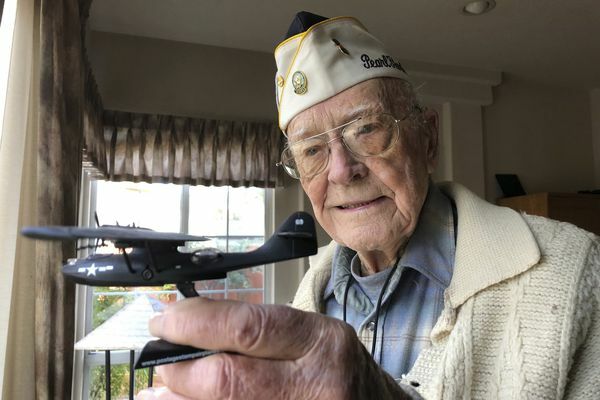 Don Long was alone on an anchored military seaplane near Pearl Harbor when Japanese warplanes started striking on December 7, 1941. 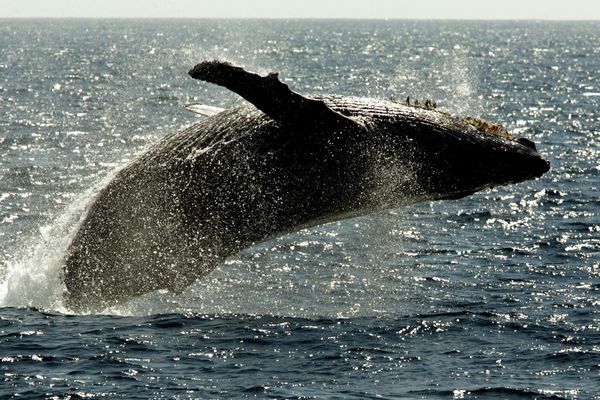 Officials believe there’s a link between warmer oceans off Alaska and the effect that has on the whales' food chain. 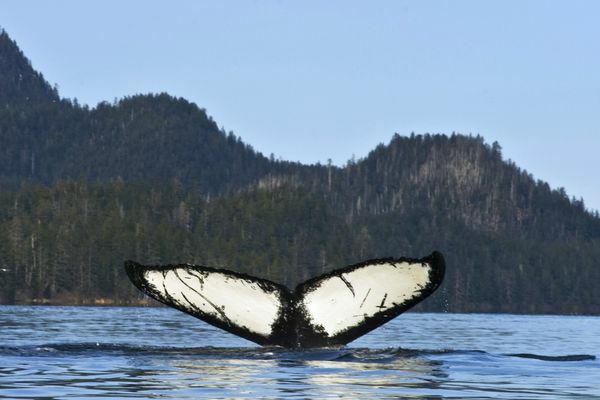 Some researchers believe there’s a link between warmer ocean temperatures in Alaska and the effect that has on the whales' food chain. 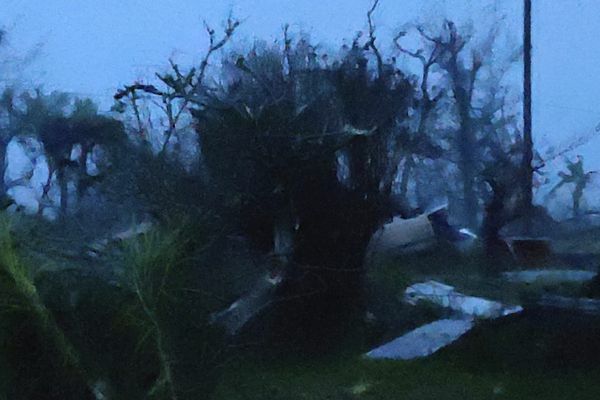 Residents of the U.S. territory were bracing for months without electricity or running water in the aftermath of Super Typhoon Yutu. 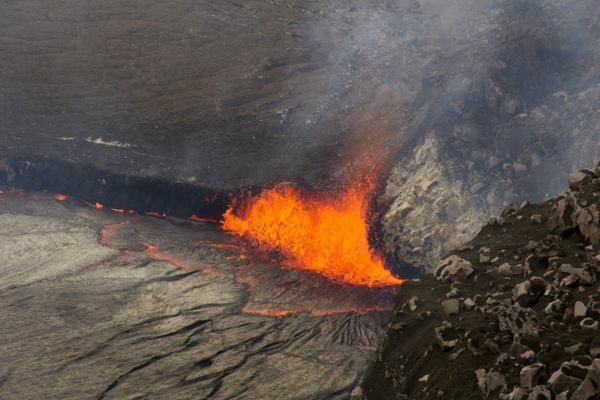 Janet Babb, a geologist with the U.S. Geological Survey Hawaiian Volcano Observatory, said this is the first time lava from this vent has come into view from a public platform within Hawaii Volcanoes National Park on Hawaii's Big Island.